Today we are introducing a new member to KHD family, ABS designers from Nilambur, Kerala. Total area of this modern house architecture is 2200 Square Feet (207 Square Meter) (204 Square Yards). 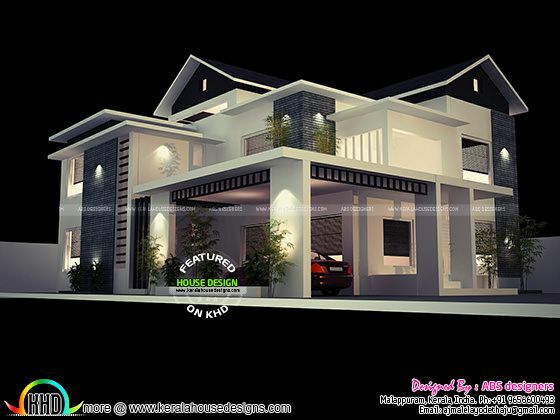 1 comments on "Modern house plan by ABS designers"
How much approx cost the building , including sanitary fixture & finishing..